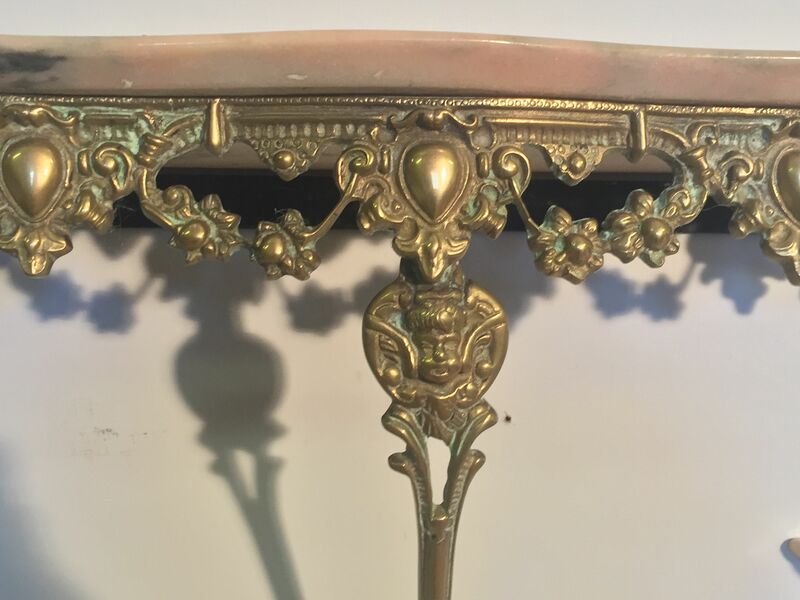 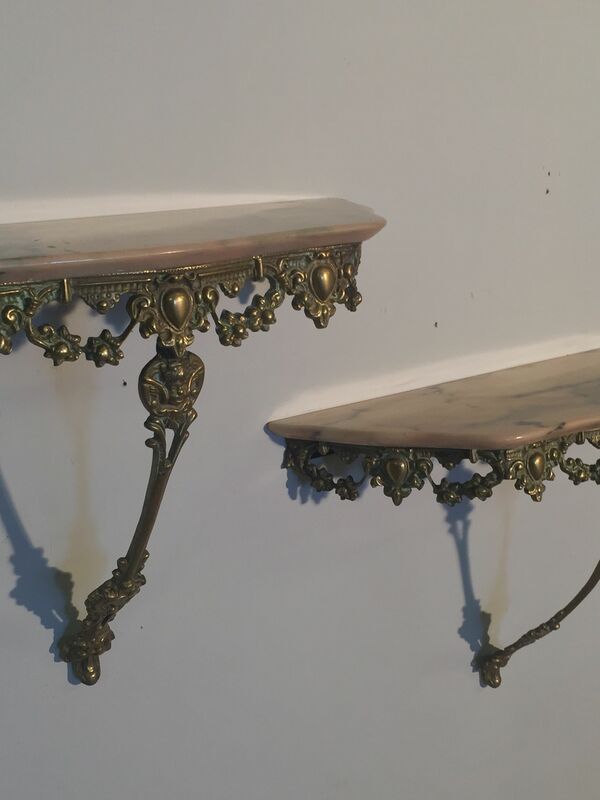 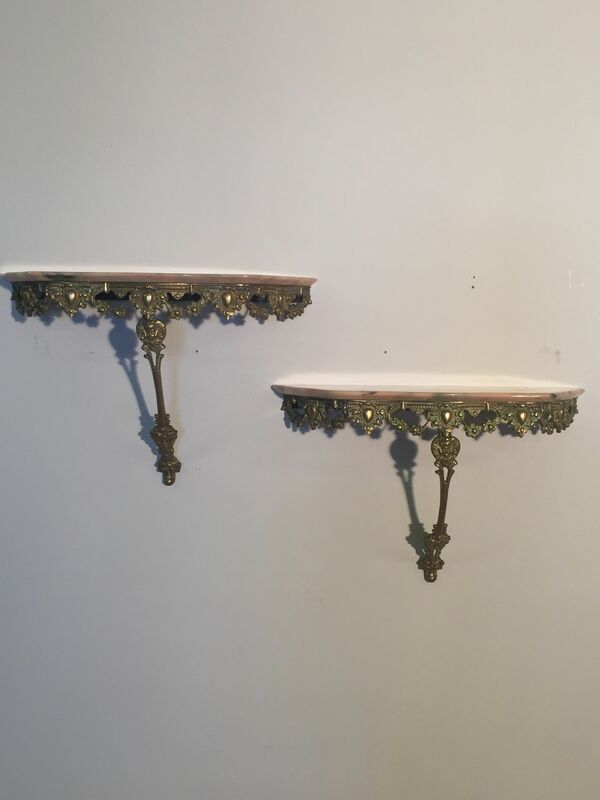 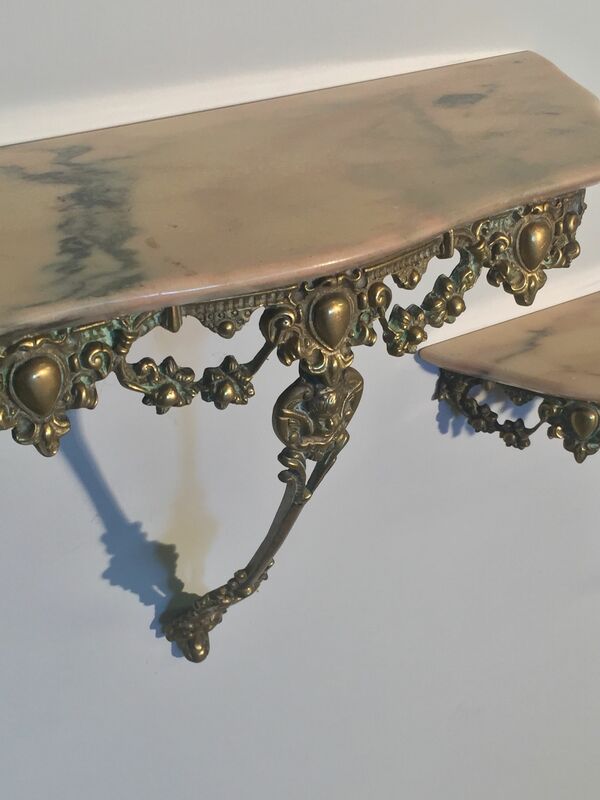 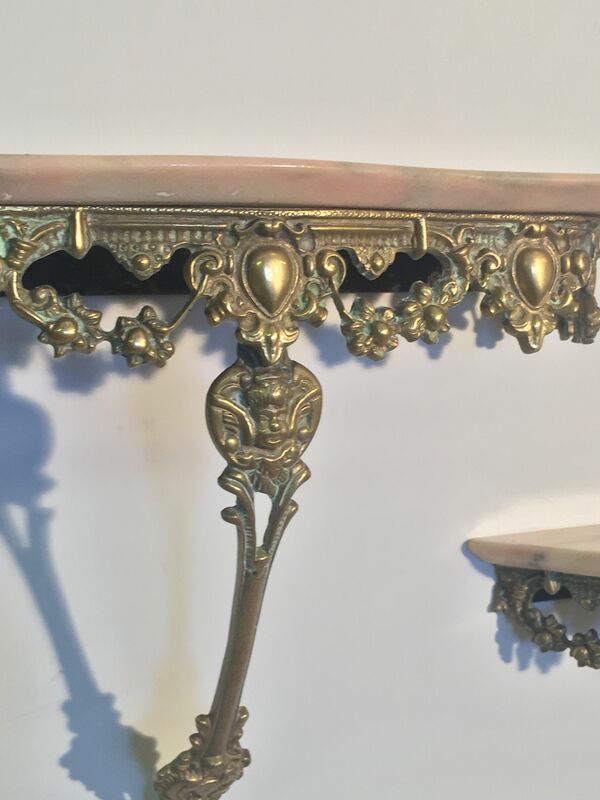 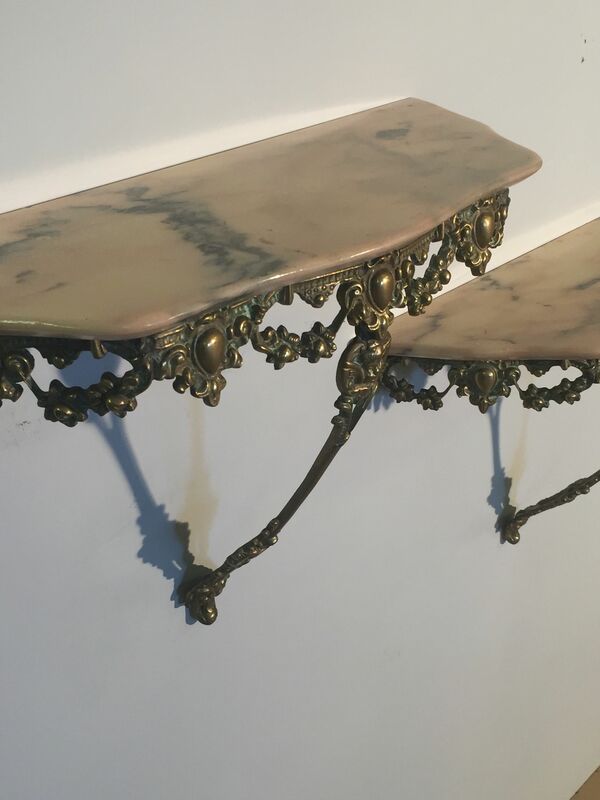 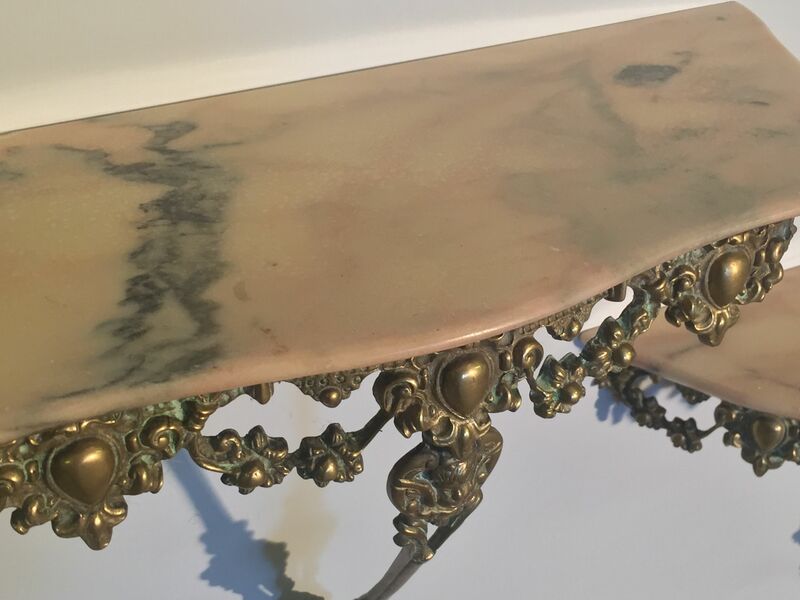 A charming pair of wall consoles with pink marble figured top. 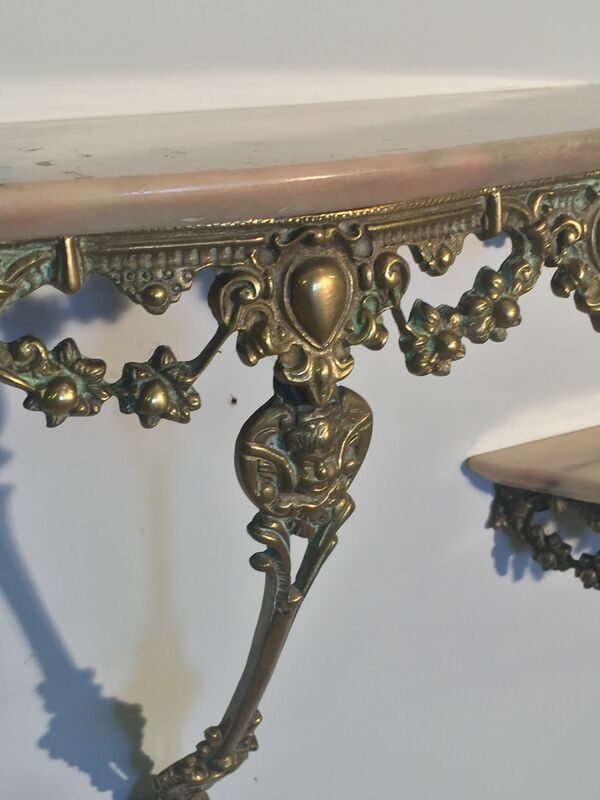 Each brass console has lovely sharp cast details. 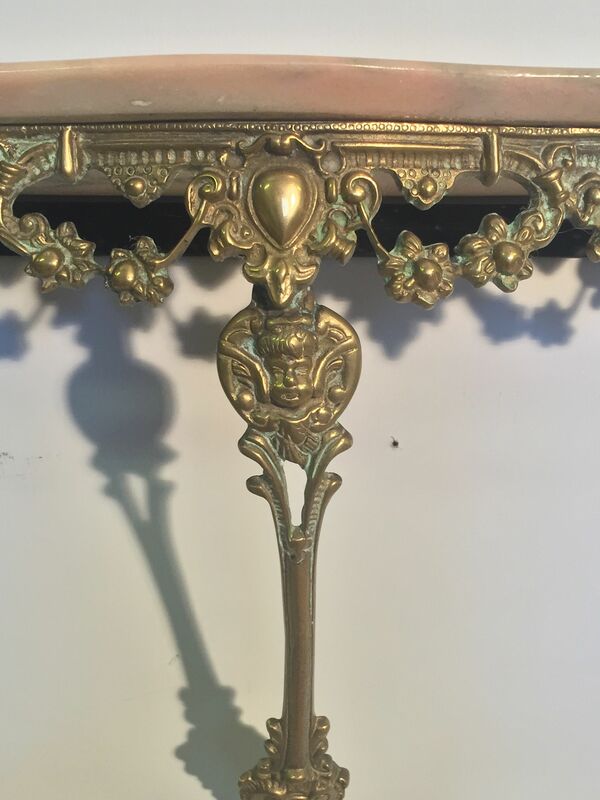 French c1960.